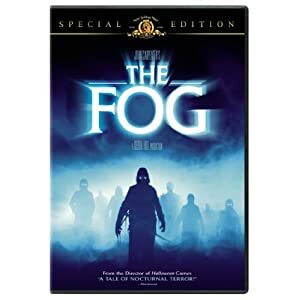 The Fog is a classic ghost story. It doesn't have much gore, relying instead on primal fears, an excellent storyline and great cinematography to scare us. John Carpenter pulls it off again! Having fog is a normal everyday happening in the small community of Antonio Bay. But on the town’s 100th anniversary, things start to emerge from the mist. These things coming out of the shadows used to be sailors that were murdered exactly a century before! Now using ship tools like hooks and swords, they seek revenge on those who have wronged them.